Movers Near Me: Welcome To Care More Movers! Welcome To Care More Movers! Hello, and welcome to our very first blog here at Care More Movers! We’re very excited to introduce you to everything we have to offer with our moving services here in Norfolk. Since this is our first blog, we felt it would be a great time to give you an overview of exactly what our company does, and how we set ourselves apart from other moving companies in the industry. If you have any questions about anything you read here, don’t wait to give us a call! Moving to a new home or apartment is rarely as easy as people expect it to be. 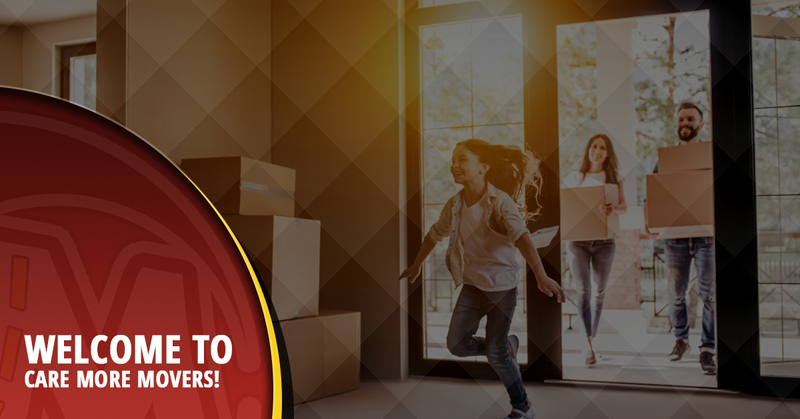 Whether you’re getting ready for your first move or you move around frequently, you need a reliable moving company that’s there for you through thick and thin. Here at Care More Movers, each of our movers has over two years of experience in the industry and is committed to 100-percent customer satisfaction with everything that we do. Commercial moving services require special attention to detail that residential-only moving companies simply can’t offer. If you’re relocating an entire office, you need a moving company that has the capacity to handle even the biggest moves with ease, all while keeping your company’s belongings in order and organized. Don’t go through the hassle of searching for a qualified moving company, only to be sorely disappointed with the one you come across. Give us a call today to get started. Many homeowners have a lot of valuables that need to be wrapped properly in order to ensure they’re delivered securely to their destination. If you’re having difficulty and don’t know where to begin with packing your belongings like dinnerware, furniture, art, or pianos, we’re here to help. Simply let us know what you have and we’ll be there to secure it all for you. Not all of our clients are moving locally. If you’re planning on moving to a new country, we can help with that too! We’ll place your things on pallets and ensure they’re organized for a safe arrival in your new home. We’re not going to just get in and get out without helping you deal with the mess. Due to our experience in the moving industry, we realized there was a need for reliable cleaning services after getting done with a big move. Whether that be cleaning up your old home or office, or preparing your new home or office for your arrival, we’ve got it covered. Not looking for moving cleanup services? No problem! We also offer routine weekly, bi-weekly, or annual cleaning services including things like carpet cleaning, pressure washing, yard maintenance, and much more. As a veteran-owned company, we understand the values of hard work and leadership. As such, we aim to be the premier provider of government and military relocation services. We are thankful for the brave men and women who sacrifice their time and lives for the betterment of our country and want to serve you in return. Give us a call to hear about our government and veteran relocation services.